Dogs and even cats can have a hard time with digestion and as a result this can upset their stomach. There are many reasons your loved fur buddy faces this issue, but the most common include: virus, bacteria and parasites affecting the digestive system. Luckily, there are O-T-C products for dogs and cats that help improve their digestion of foods. 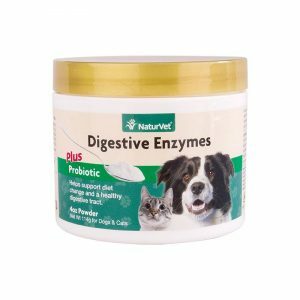 NaturVet® Digestive Enzymes Powder is marketed to help support changes in diet, sensitive stomachs and flatulence in dogs and cats. NaturVet® Digestive Enzymes Powder is sold in four sizes and is only recommended for pets over six weeks of age. This formula also contains a probiotic. Use as directed for best results, if results may occur. Add ¼ rounded teaspoon to each cup of dry or wet food. Each ¼ rounded teaspoon equals 1 gram. Give NaturVet Digestive Enzymes Plus Probiotic at every feeding. NaturVet® Digestive Enzymes Powder contains ingredients that are promoted to hydrolyze starch, proteins and triglycerides. 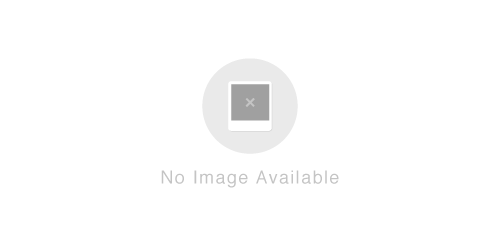 This product also contains ingredients that are intended to break down cellulose. Only administer to dogs and cats over six weeks of age.